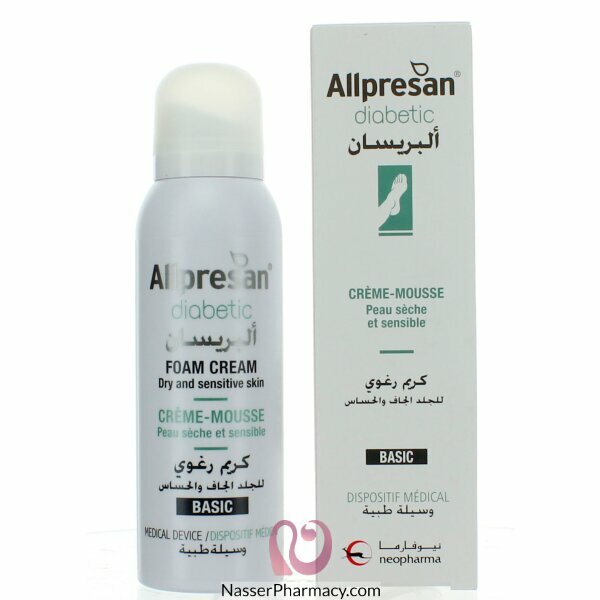 Allpresan Basic Diabetic Foot Foam Cream 125ML is a preventive treatment for dry, sensitive and parchment like foot skin in patients with diabetes mellitus. 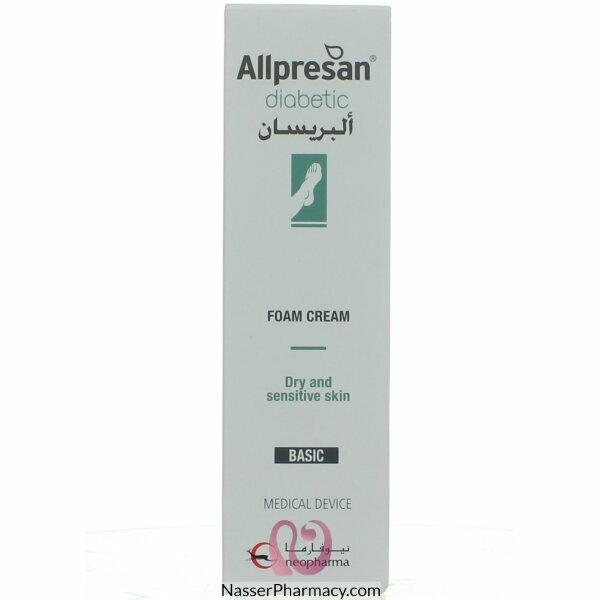 It is used on the whole foot, including between the toes and around wound edges. It boosts the skin’s barrier function, thus protecting against foot infections and ulcerations. It has specially designed active formula forms a breathable, two dimensional protective coating. It strengthens the barrier function, protects against external impacts, and reduces mechanical stresses such as friction without impairing natural skin function. The skin is optimally supplied with moisture, and pentavitin also guards against moisture loss.